In Wolmyeongdong, we built a beautiful lake. We call it Wolmyeong Lake. In the center of the lake, we built a gazebo, and next to the gazebo, there is a rock island. 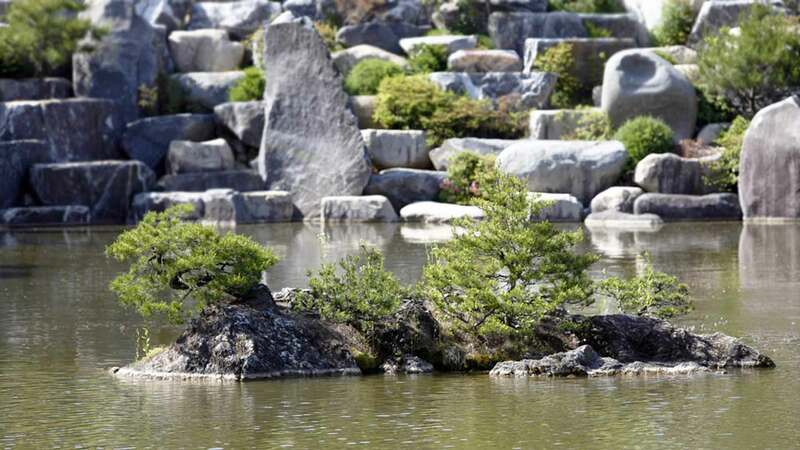 A bonsai pine tree grows on that rock. Pastor Jung Myung Seok and the other workers found this rock while they were making the lake. So he asked the Lord if they should break the rock or not. But the Lord’s reply didn’t change. Personally, he had thought that the rock would be in the way when people rowed around the lake. And he thought the landscape wouldn’t be pleasant to look at if they filled it with less water in order to make the rock more visible. But despite all that, he concluded that the Lord was the owner of the lake. So it was his duty to follow the Lord’s idea. As a result, the floodgate and the rock island became a pair. Jung Myung Seok realized everything turned out ideally because he did it in the way the Lord had told him. No one would row a boat into the rock unless they were blind. Plus, rowing a boat between the rocks makes it all the more thrilling. When you look at the rock island from the gazebo, it looks like an island in the ocean. And since there’s even a tree on it, it kind of looks like Korea’s Dok-do Island. In this way, Jung Myung Seok taught us that we must do things after consulting the Lord. Nowadays, people ask how we built this lake, and how we got that rock there. They even ask if it is a natural island. If Jung Myung Seok had not consulted with the Lord, then he would have broken the rock. And destiny would have changed. Truly, the Trinity in heaven know all things, and They listen as we speak. If you listen, you can feel and hear Their answers in our mind and in our hearts.